Chocolate Lily Flower Essence is for healing your relationship with the body's processes of elimination that many people have been taught to find repulsive: pooping, menstruating, other secretions. It's not unusual in our society to have these feelings, but when taken too far it can lead to blockages in the first and second chakra that actually affect your reproductive or intestinal health. 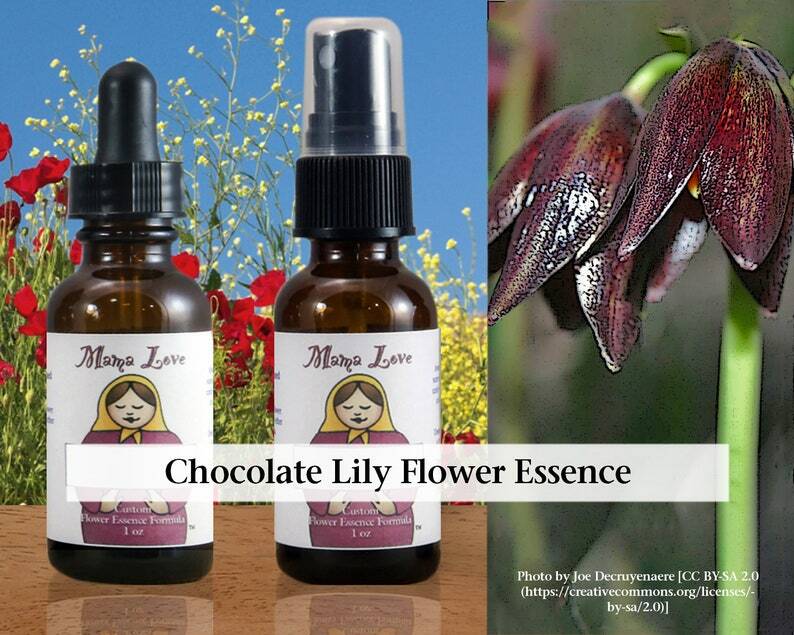 Chocolate Lily can help you be fully embodied and accept these natural functions.